Set in its own tropical garden, 500 metres from Oura Beach, these apartments come with balconies overlooking the outdoor pool area. Apartments Casa Velha Sta Eulalia features bright, spacious accommodation with a well-equipped kitchen. 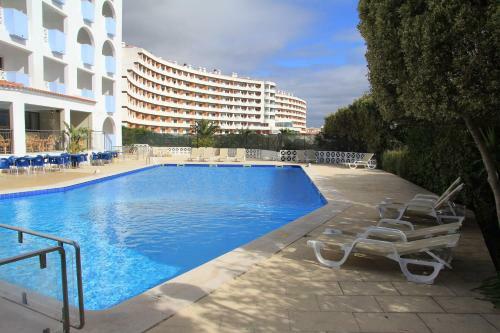 Hotel Balaia Mar offers free parking and a quiet location close to Albufeira. It is just 400 metres from Maria Luisa Beach and features an outdoor pool and sun terrace.